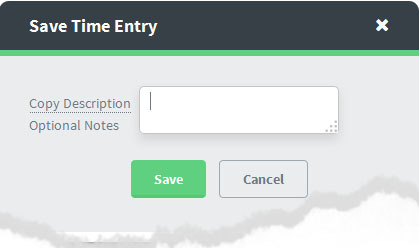 When you stop the timer a pop up lets you enter a note. 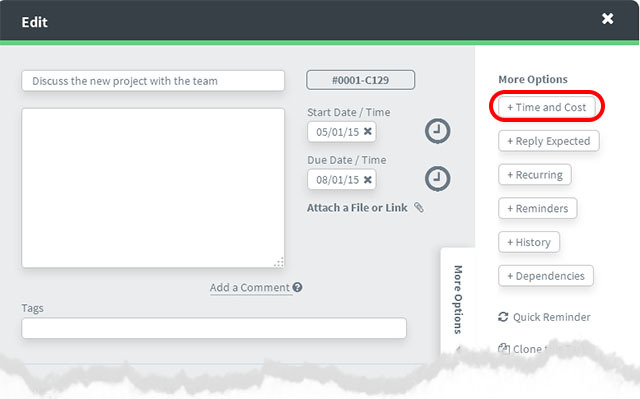 The note will appear in the task’s More Options / TIME COST section alongside the corresponding time entry generated. The note will also appear on the timesheet and any exports generated from the timesheet. Alternatively, if your task description is all you need as your note, you can click the “Copy Description”button and the task description will populate the “notes”. This might save you time in having to re-type the same description several times. 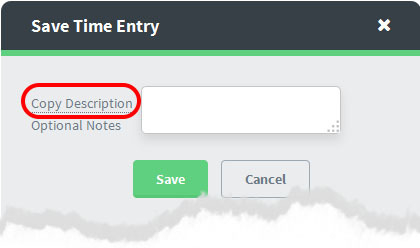 You can edit the notes at any time.